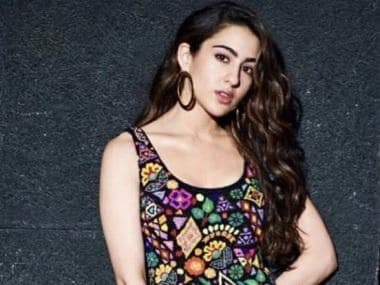 Sara Ali Khan has been receiving significant praise for her work in Abhishek Kapoor's Kedarnath. While the actress has been continuing to give on-point interviews, recent reports state that she was seen in a burkha inside a Mumbai theatre in order to gauge fans' reactions on her work in Kedarnath. Kedarnath has also faced its fair share of issues. Recently, there were reports of the film's screening being disrupted at a cinema hall in Uttar Pradesh's Pilibhit district. The activists of the Hindu Jagran Manch (HJM), which is affiliated to the Vishva Hindu Parishad (VHP), gathered at the Vishal cinema hall and sat on a dharna after locking its gates in the morning. HJM state secretary Akash Saxena claimed that the film aimed at sending a "wrong message" and had "hurt the sentiments" of the Hindus. After the protests, the administration and the cinema hall management stalled the screening. 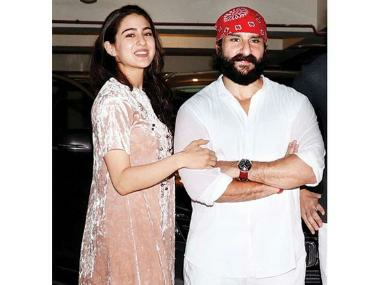 "We were not aware of any dispute over the film, but after today's protest, we are stopping its screening," the manager of the cinema hall, Aslam, said.